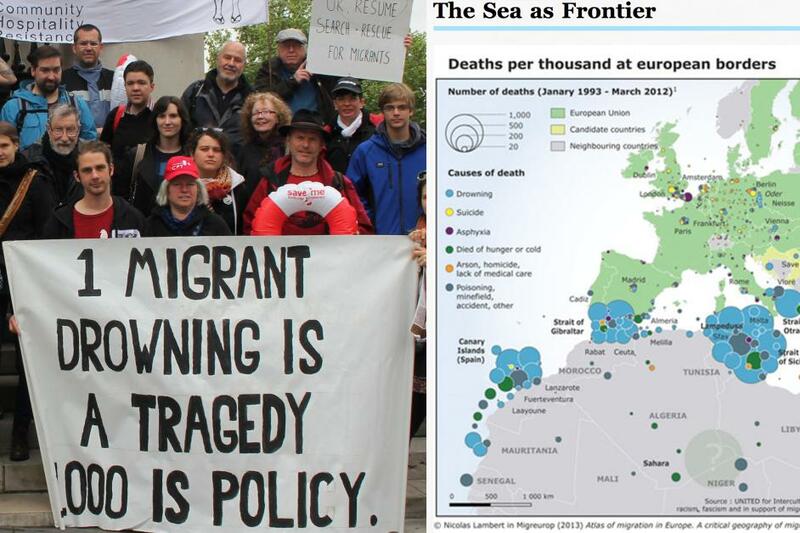 Join us for a workshop and a dialogue about migrant struggles on the EU's maritime frontier. Charles Heller and Lorenzo Pezzani have sought to develop new methodologies to contest the violence of borders and enable more freedom of movement across the maritime frontier. In 2011, Heller and Pezzani co-founded Forensic Oceanography, a collaborative project that has developed innovative methodologies to document the conditions that lead to migrants' deaths at sea. Their reports have contributed to strategic litigations and intervened in ongoing debates concerning the effects of EU migration policies. In 2012, they also launched the WatchTheMed platform, a tool enabling nongovernmental actors to exercise a critical right to look at the EU's maritime frontier, and contributed to initiate in 2014 the WatchTheMed Alarmphone project, a 24/7 emergency line supporting migrants crossing the sea. "Disobedient Sensing and Border Struggles at the Maritime Frontier of EUrope"